“My Sneakers” by Michael Blum. 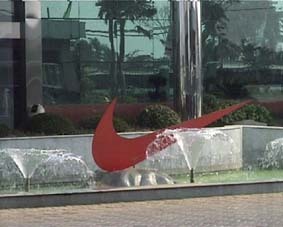 In August 1999, Michael Blum purchased a pair of Nike sneakers in Paris. 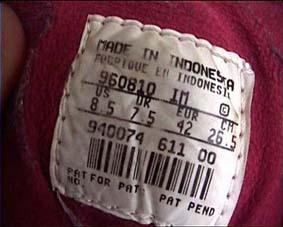 Two years later, he travelled them back to where they came from – Indonesia, according to the label.